FulveNat blocks the actions of estrogen in the body. Certain types of breast cancer require estrogen to grow. FulveNat is used to treat some types of metastatic breast cancer that require estrogen to grow, in postmenopausal women whose cancer has progressed following treatment with other antiestrogen medication. FulveNat may also be used for purposes other than those listed in this medication guide. 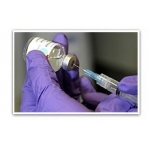 Your healthcare provider will probably administer the FulveNat injection. If you are injecting FulveNat at home, your healthcare provider will give you detailed instructions on how and where to inject the medication. If you do not understand these directions, do not attempt to inject the medication. Contact your healthcare provider for further instructions. are taking an anticoagulant (blood thinner) such as warfarin (Coumadin). You may not be able to use FulveNat, or you may require a dosage adjustment or special monitoring during treatment. FulveNat is in the FDA pregnancy category D. This means that FulveNat is known to be harmful to an unborn baby. Do not use FulveNat without first talking to your doctor if you are pregnant or could become pregnant during treatment. It is not known whether FulveNat passes into breast milk. Do not use FulveNat without first talking to your doctor if you are breast-feeding a baby. How should I use FulveNat? Use FulveNat exactly as directed by your doctor. If you do not understand these directions, ask your pharmacist, nurse, or doctor to explain them to you. 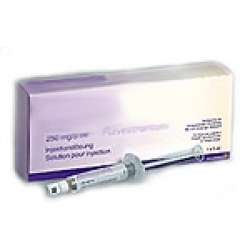 FulveNat is administered by intramuscular (into a muscle) injection. Dispose of used needles and syringes in an appropriate puncture resistant container. Your healthcare provider will store FulveNat as directed by the manufacturer or give you detailed storage instructions if you are storing the medication at home. Contact your doctor if you miss a dose of FulveNat. An overdose of FulveNat is unlikely to threaten life. Call an emergency room or poison control center if an overdose is suspected. Symptoms of a FulveNat overdose are not known. What should I avoid while using FulveNat? There are no restrictions on food, beverages, or activities while taking FulveNat unless otherwise directed by your doctor. Stop using FulveNat and seek emergency medical attention if you experience an allergic reaction (difficulty breathing; closing of the throat; swelling of the lips, tongue, or face; or hives). What other drugs will affect FulveNat? Before using FulveNat, tell your doctor if you are taking warfarin (Coumadin) or another blood thinner. You may not be able to use FulveNat or you may require a dosage adjustment or special monitoring during treatment. Drugs other than those listed here may also interact with FulveNat. Talk to your doctor and pharmacist before taking any prescription or over-the-counter medicines, including herbal products. Your pharmacist has additional information about FulveNat written for health professionals that you may read. Fulvestrant is available with a prescription under the brand name FulveNat in an injectable formulation. Other brand or generic formulations may also be available. Ask your pharmacist any questions you have about FulveNat, especially if it is new to you. Remember, keep this and all other medicines out of the reach of children, never share your medicines with others, and use FulveNat only for the indication prescribed.